Little ones are going to have a blast helping you make this sweet Pom Pom Caterpillar. Learning how to make your own toy has never been so fun. Just making the pom poms is a fun project, but combining them to create this soft and squishy caterpillar is super fun. While the youngest might not be able to do this project on their own, they will be able to help choose colors and learn how to make pom poms. This sweet pom pom fellow is going to become a new favorite toy. Following pom pom maker package directions, make one medium and one large pom pom from yarn A. Make one medium pom pom each with yarns B, C, and D.
Arrange pom poms in the following order: large A pom pom, B pom pom, C pom pom, D pom pom, medium A pom pom. To make the antennae: Thread a strand of B into blunt needle. Insert needle into large A pom pom and pull through to opposite side. Remove needle. Knot and trim strand ends. To create the eyes and mouth: Cut 2 small circles from felt. Glue to large A pom pom for eyes. Cut a 1 1/4 in. length of C and glue below eyes in a semi-circle ‘smile’. Think this craft is cool? 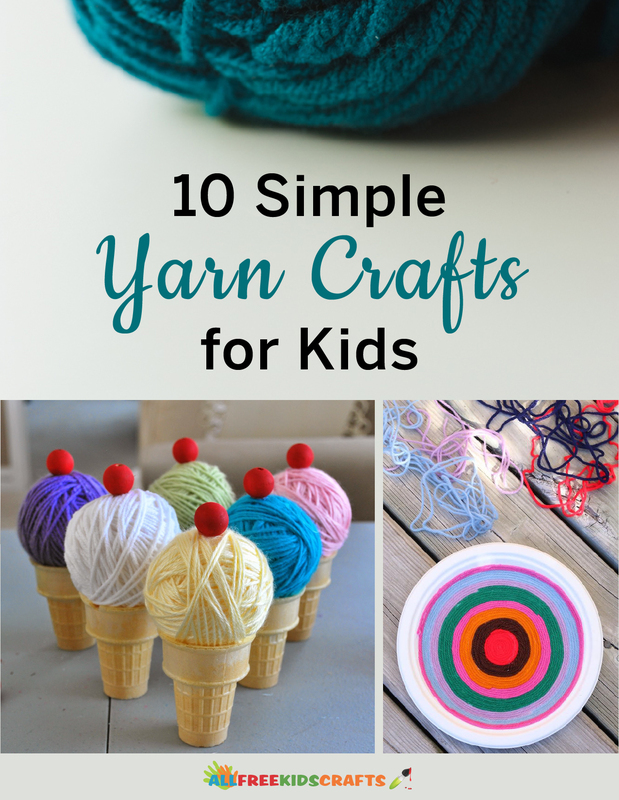 In our free eBook 10 Simple Yarn Crafts for Kids, you’ll find even more quirky crafts made from yarn that you and the kids can make together or with friends and siblings.